1. Find and name the longest continuous carbon chain. 2. Identify and name groups attached to this chain. 3. Number the chain consecutively, starting at the end nearest a substituent group. 4. Designate the location of each substituent group by an appropriate number and name. 5. Assemble the name, listing groups in alphabetical order using the full name (e.g. cyclopropyl before isobutyl). The prefixes di, tri, tetra etc., used to designate several groups of the same kind, are not considered when alphabetizing. Cycloalkanes have one or more rings of carbon atoms. 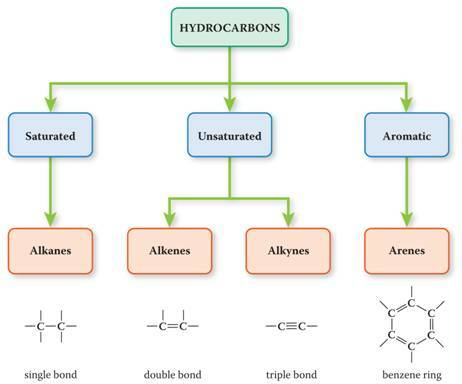 The simplest examples of this class consist of a single, unsubstituted carbon ring, and these form a homologous series similar to the unbranched alkanes. The IUPAC names of the first five members of this series are given in the following table. The last (yellow shaded) column gives the general formula for a cycloalkane of any size. If a simple unbranched alkane is converted to a cycloalkane two hydrogen atoms, one from each end of the chain, must be lost. Hence the general formula for a cycloalkane composed of n carbons is CnH2n. Although a cycloalkane has two fewer hydrogens than the equivalent alkane, each carbon is bonded to four other atoms so such compounds are still considered to be saturated with hydrogen. Substituted cycloalkanes are named in a fashion very similar to that used for naming branched alkanes. The chief difference in the rules and procedures occurs in the numbering system. Since all the carbons of a ring are equivalent (a ring has no ends like a chain does), the numbering starts at a substituted ring atom. 1. For a monosubstituted cycloalkane the ring supplies the root name (table above) and the substituent group is named as usual. A location number is unnecessary. 2. If the alkyl substituent is large and/or complex, the ring may be named as a substituent group on an alkane. 3. If two different substituents are present on the ring, they are listed in alphabetical order, and the first cited substituent is assigned to carbon #1. The numbering of ring carbons then continues in a direction (clockwise or counter-clockwise) that affords the second substituent the lower possible location number. 4. If several substituents are present on the ring, they are listed in alphabetical order. Location numbers are assigned to the substituents so that one of them is at carbon #1 and the other locations have the lowest possible numbers, counting in either a clockwise or counter-clockwise direction. 5. The name is assembled, listing groups in alphabetical order and giving each group (if there are two or more) a location number. The prefixes di, tri, tetra etc., used to designate several groups of the same kind, are not considered when alphabetizing. 1. The ene suffix (ending) indicates an alkene or cycloalkene. 2. 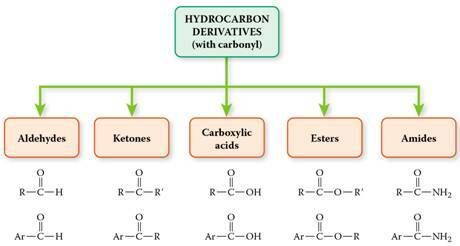 The longest chain chosen for the root name must include both carbon atoms of the double bond. 3. The root chain must be numbered from the end nearest a double bond carbon atom. If the double bond is in the center of the chain, the nearest substituent rule is used to determine the end where numbering starts. 4. The smaller of the two numbers designating the carbon atoms of the double bond is used as the double bond locator. If more than one double bond is present the compound is named as a diene, triene or equivalent prefix indicating the number of double bonds, and each double bond is assigned a locator number. 5. In cycloalkenes the double bond carbons are assigned ring locations #1 and #2. Which of the two is #1 may be determined by the nearest substituent rule.